Do you ever find yourself losing track of items that you lend to your students and employees? 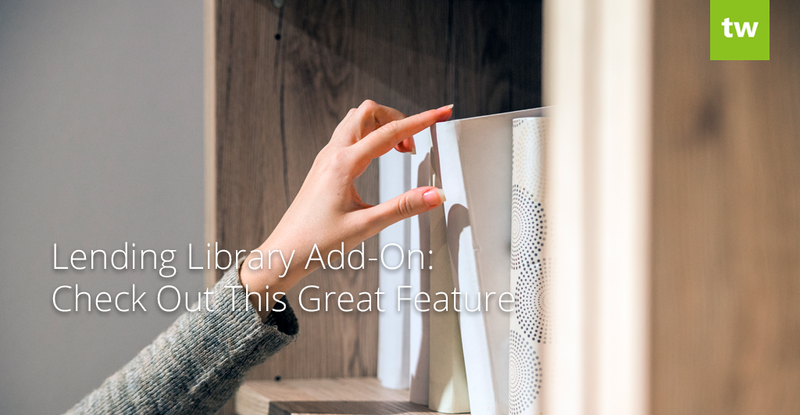 It can be difficult to keep track of multiple items (such as books and instruments) but fortunately we have an add-on for that! 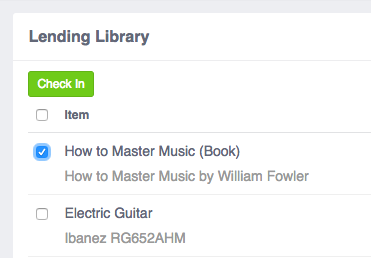 Our Lending Library Add-On allows you to easily create records for items and these items can be checked out and a due date can be set for the item to be returned. The first step is to enable the add-on. 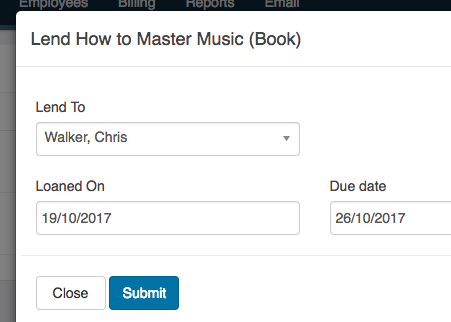 This can be done by going to your Integrations & Add-ons page and clicking on the enable link under the Lending Library Add-on. A Settings link will appear and you can click on it to select your preferences. Lending Permissions – this setting allows you to select who can lend and return items. 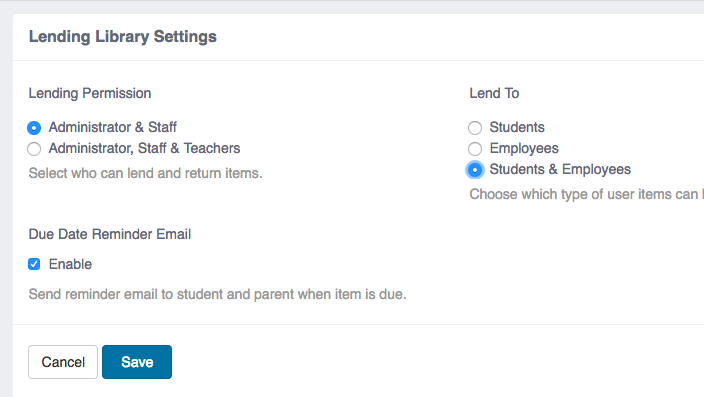 You can make the option available only to Admins & Staff or you can allow teachers to manage items as well. Lend To – This setting allows you to choose who you’ll be lending items to. You can lend items to students only, teachers only, or both. 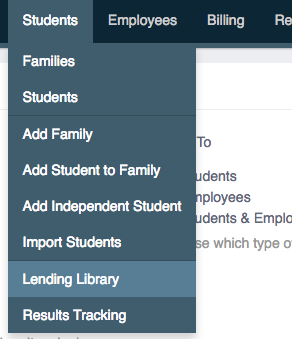 Once enabled, the Lending Library add-on will appear below the Students and Employees tab (depending on your selection). To add an item, click on the Add Item option in the sidebar. A window will appear where you can enter the name of the item as well as a detailed description. Fill in all the details, and click submit. Repeat this action for all the lendable items you want to add to Teachworks. 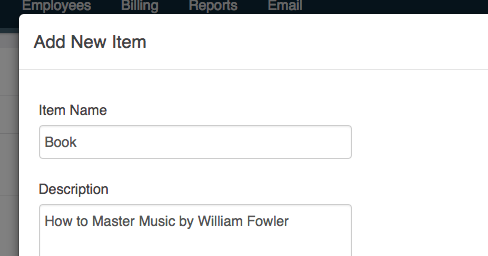 To check out an item, click the Checkout icon in the row of the relevant item. A window will open up and you can choose a student or teacher (depending on your settings) and capture the loan date as well as the due date. To check in an item, select the checkbox next to the item name. A green “Check In” button will appear at the top of the table. Items can be checked in in bulk by selecting the checkboxes next to the relevant items.